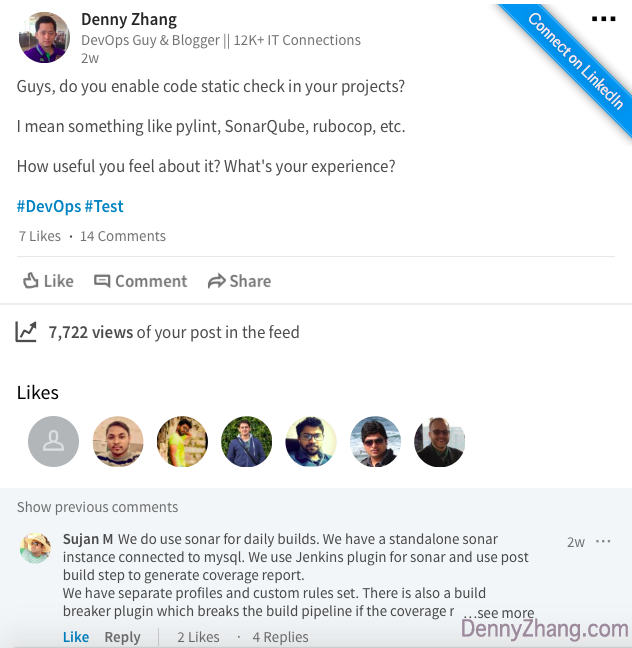 Check More Discussion In LinkedIn Discussion. What are the problems with the old way? It takes time. We need time to learn and understand the tools. Install them, configure them, or even migrate them across servers. These are all costs. It might be tricky and troublesome. Installing extra packages might mean headaches. Upgrading the tools might mean nightmares. Let’s say you want to install rubocop v0.49.1. And it requires ruby2.4. But your server has already installed ruby2.5 or ruby3. What would you do? Downgrade to 2.4? Are you sure this is a good idea, and it won’t break anything? Okay, you have downgraded your ruby to 2.4 or even make multiple ruby versions installed(which is tricky). Anyway it’s working. Congratulations! But two months later, rubocop v1.0.3 has been released. And you want to try it. But you just find out rubocop v1.0.3 requires ruby3.5! Yes, We Need The Code Check Tools. But Do We Really Have To Install Them In Our Servers? Create a temporary docker container. And it has tools installed and configured inside. When the container starts, it get source code as docker volumes. Inside the container, the test runs. # Get the code of sample project. It could be any repos. python /enforce_pylint.py --code_dir /code --check_ignore_file "$ignore_file"
docker stop "$container_name"; docker rm "$container_name"
You can support more languages like this. I’m sure you’re capable for it! So publish your solution to GitHub, once it’s ready. And share it with me, my friend. Now we have a generic and clean solution of code static check. And it works for almost all repos. Do you agree? 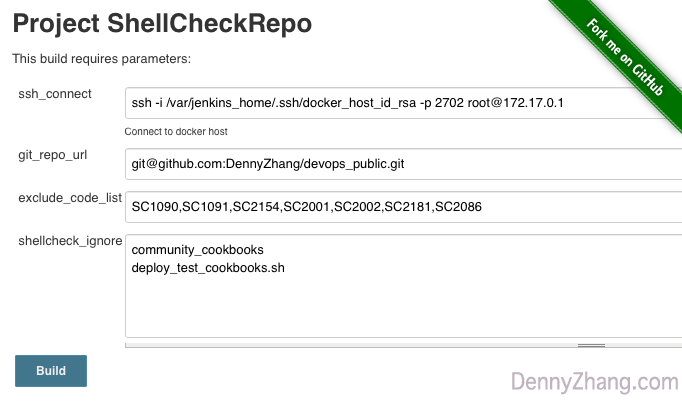 To make the solution even better, I find Jenkins jobs is easier than issuing multiple docker commands. 1.6 Recap: No Need To Install Code Check Tools To Your Servers. Please leave me comments with your thoughts. And more importantly, give it a try. And improve your projects now. It’s just 5 minutes away! 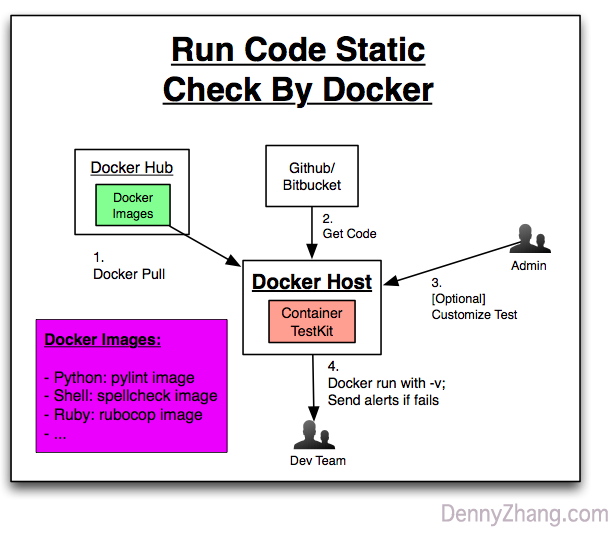 Dockerfile for above docker images can be found in GitHub.